A business that CREATES products in Cape Breton and EXPORTS (sells) these products outside of Cape Breton. It could be a few large businesses or many small businesses. It all ads up. A local RESALE BUSINESS buys a product made elsewhere and ships it here to their store for $50. The business sells the product to a local consumer for $75. This leaves $75 - $50 = $25 for the local business. The local business spends this $25 on employee wages, rent, utilities, banking, local marketing, etc. 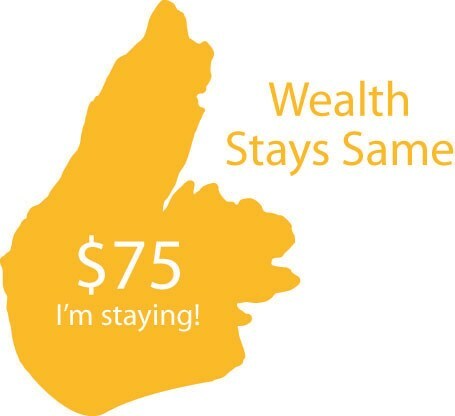 The result is that $50 leaves Cape Breton Island forever, while $25 is spent locally. Wealth drops because $50 is lost. A local PRODUCT BUSINESS makes a product locally and sells it for $75. Since the product is made locally, the business keeps all $75. The local business spends this $75 on employee wages (to make and sell the product), rent, utilities, banking, local marketing, etc. The result is that all the money stays in Cape Breton Island. $0 leaves. Wealth remains the same because money moves from buyers to makers who are all in the same region. The above example represents a ratio of 3 to 1. This means that a PRODUCT business that generates $1 million in revenue has the same positive economic impact as a RESALE business that generates $3 million. That's 3 times more local impact for each dollar made by businesses that create products locally and sell those products locally. 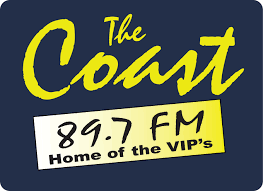 The above examples show how money moves around in Cape Breton and leaves Cape Breton. There is no new money coming into Cape Breton. 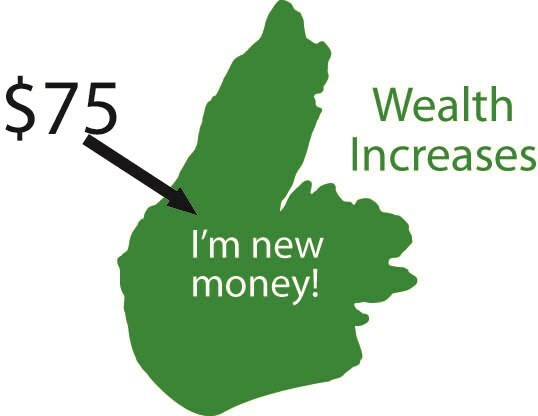 If new money does not come into Cape Breton, we are not increasing our wealth. To clarify, the term wealth does not mean wealth for the few ... it means distributed wealth that can raise the standard of living for the entire community. Now, let's take this a step further. Let's assume the PRODUCT BUSINESS exports (sells) its product outside of Cape Breton Island. This means that a new $75 is imported into Cape Breton every time a product is sold. This $75 adds to the wealth of Cape Breton. New money just appears ... like magic. Repeat that a few times and all of a sudden Cape Breton has a pile of money that never existed before. This is why businesses that CREATE products in Cape Breton and EXPORT (sell) these products outside of Cape Breton are the solution to economic prosperity. This is not about BUY IN Cape Breton, this is about MADE IN Cape Breton and sold elsewhere (or sold here to people who bring money from away). Of course, we need to support all types of businesses, whether they make products locally or not. But, it's equally important to recognize how wealth is created. What about service businesses like tourism? Yes, businesses that offer a service locally to people who bring money from away also fit this model. Not from Cape Breton? You can replace "Cape Breton" above with "Yarmouth" or "Nova Scotia" or "Atlantic Canada" or any region you want. The math is the same. The economics are the same. What next? Encourage community leaders to focus on the activities that generate wealth for the community. Share this post with friends, family, business leaders, and government officials. Excellent Illustration Matt, I touched on this in another post referring to makers, takers and middlers! Your's is much better. "As for Production: I've simplified Cape Breton Economics down to three items; makers, takers and middlers (made that word up). Protocase: Maker Walmart: Taker Schwarts: Middler This simple formula can help us make purchase decisions within our budget. " As long as Cape Bretoners continue to hate anybody that does better then they do we are doomed. We need people, refugees , comefromaways anybody with money and/or new ideas. we must welcome them and support them if we dont we are doomed. Your statement is correct to a degree. I will say that we, you and I, can be cheer leaders. For example, I posted this to my Facebook page and in a couple of groups and connected it to some of my posts as well. Gary, you can do the same as well as anyone reading this. If people hear it enough they will believe! I do and have been I am positive about Cape Breton but when I get together with any comefromaways we all have stories of betrayal. Well Gary, when it comes to betrayals, that is not confined to comefromaways in Cape Breton. But that may be a subject for another day. Gary, we are on the verge, the very edge. People are starting to hear the message. Our whispers are growing. I have two posts that have exceed 1000 views. I would never have been able to reach that many people 10 years ago....I mentioned the New World Order in 4 Steps to Fix Cape Bretoners, no blades, simply common sense if we are to survive. I love the simplified illustration, and it's very true. Much of my work is in tourism and while we are working diligently to bring new visitors to Cape Breton, we also need to provide more ways to increase the spend per visitor. In recent years, many attractions and operators have added value to experiences with strong results. For example, rather than just relying on an $11/person admission, the Highland Village now offers a $100/person experience where people can join their team as an animator for the day, which provides a much deeper experience. We need more experiences like that whether they be cultural, outdoor adventure, culinary, etc. The same rings true: a tourism experience developed locally and sold to visitors = greater wealth for Cape Breton Island. Agree. Lots of visitors are willing to pay more for a unique experience. We have to make sure we include these options on the menu. Sure, most will choose the least expensive option, but if even a small number choose the premium option, then it makes a big difference. Lovely illustration . Now if you did one for every county and then the province , maybe a few politicians and bureaucrats might start to understand what "economy" means . Glad you highlighted tourism as it one economy that is not being treated fairly and yet THEY want or THEY SAY , THEY will double the revenues in 10 years . It is the most taxed economy,it is the most seasonal , it has the most non-profits mainly funded by taxes involved , it is a critical employer, it is one of the few rural economies left , and has the highest underground , and has to compete globally more and more and yet the investors are basically not "at the table". The "community leaders " i.e the province, municipalities and many groups are not accounting for their use of tax dollars the tourism economy generates. We likely could do far better if the investors were making the decisions . An import note for a product business is that it must also source materials locally for the math to work out as outlined above. Though the difference of the 'raw' material versus finished product still puts it ahead of retail even if procured from off island. Fortunately, a software business typically sidesteps this component and can realize the near 100% cashflow inwards to Cape Breton if all staff is local and outsourcing/remote work is not required. Another +1 for the budding tech entrepreneurs in the area. You are right about the source of materials ... I wanted to keep the examples really simple to follow. I did same with exporting in that usually marketing money is spent off island. I would say that Cape Breton University fits the model. I think we sometimes take for granted CBU's contribution to local economic activity. They have a very high proportion of international students who inject a lot of money into local businesses. It's unfortunate to see the loss of funding to Saudi students who live and study here and I think we'll feel the impact of that fairly quickly. They should be working actively to try to regain eligibility for the Saudi scholarship program. It's too important to give up on. CBU is a good model to use as a business case in many ways . The province seems to have lost it's way when it comes to understanding if they are spending money on just an expense or on an investment . CBU is an investment . Your tax dollars subsidize the whole operation and even filter through to the salaries and pension funds . As an investment , it has to be measured as an investment . It's fine to measure its graduating success but there is also need to measure what else it does or can do for the public good , the economy . Anyway, if it relies too much on foreign students for income ,than that should be a concern as it can cause a flaw in our subsidy , and then especially if the number of students who graduate do not include a good percentage who stay in NS once they graduate . Universities are a grey area. Yes, they certainly contribute to a community in a variety of ways, but from an economic development and wealth perspective, we have to consider LOST OPPORTUNITY COST. Universities are publicly funded. I believe CBU gets $20 - $30 million each year. Yes, each year. What if that money was invested in the types of businesses described above? Seeding 20 - 30 businesses each year with $1 million in startup capital. Inject a few million more in those that show big promise. Do that for a few years and the odds of success weigh heavily in your favour for creating significant wealth in the community (in fact, I would say the odds are so good that you can't lose). In addition, population decline would be reversed as people would come here from all over the world to be part of such an initiative. With our universities today, we educate people for jobs that don't exist locally so they end up leaving. The result is that we are using public money to subsidize people that are unlikely to stay. Further, public Universities are not about generating profit or wealth, since they are nonprofit focused. Continuing the investigation, we also have to consider COMMERCIALIZATION activities that are spurred by university research and related activities. Some universities can point to big business successes that were directly derived from faculty, students, or business partnerships. A single large enough business win can pay for everything. But, I'm not sure I know of any such big wins in Cape Breton. I'm sure there are many small wins, but we all know they haven't been enough. Please don't read this as anti-education (after all, I run an education company), but it's an analysis that I think we have to do with every big decision that involves public funds and our repeated failures to reverse the decline of our communities. Matthew . Agree 100% What I think we have in Nova Scotia is a real "process "problem when it comes to provincial and municipal tax revenue management . It's fine to make a few investment blunders but we seem to have far more than any investor should . It is also becoming apparent that the politicians are not that well equipped to "run " a business let alone ti run multi-billion dollar departments . It wouldn't take a lot of effort to be able to weigh the pros and cons of very departments finances , but seems no one does , and they do everything they can to hide their financials . Over the last 5 years about $6 million has been funnelled from the municipal room taxes to a single contractor to supposedly "market" the island. There has never been any analysis of that expense . The business owners on the Island have to start to get more vocal at having a seat at the table when it comes to provincial and municipal expenses. Opportunity Cost. We should have a billboard on the Esplanade that says only this as a reminder to the CBRM executives every day as they arrive. Re: CBU For some strange reason, on Dec. 18th someone posted a link to the article from March 2015 about the university initiated *free tuition* campaign on the CBU site: http://www.cbu.ca/2015/12/cbu2015-no-tuition-campaign/ As a reminder, it was shortly after this that they announced tuition increases, followed by recent reports that they'll be terminating positions through retirements and staff cuts. If there is strategy here beyond the irony, I'd be intrigued to know the basis of it. The university is an important asset, but not one that we seem to know how to leverage effectively. Joe : wonder if there is some way to take your illustration and make it into a sort of poster with a catchy title and also as a PDF that folks could use to send to other people in emails or whatever . Would like to post on a few Facebook pages of business groups as an example of how to use it . I totally agree with your article Mathew. Disposable income in Cape Breton is nearly non existent. The export market holds real potential to bring new money here. I wish our great leaders felt this way and stopped focusing soley on Port development. Yeah ... so much time, money, and energy spent on trying to convince others to invest in Cape Breton yet we won't invest the same in ourselves. Have you ever noticed all these people and all the money we have for tourism marketing but seem to have nothing for going after businesses and investment . Go to the Municipal websites and pretend you are looking for investment opportunities or even a retirement option , and see what they do to help you . There was a time when the best steel you could buy was made in Cape Breton, and when the Steel Plant closed the whole economy of Cape Breton was affected. Many jobs were lost not just at the plant but in the coal mines and the folks that supplied raw materials for the making of steel. For Cape Breton to really get back on it's feet we need a big manufacturing to set up business that will create jobs.